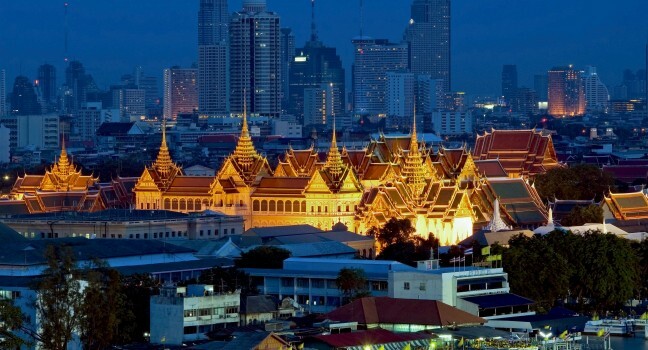 Visitors can experience the splendor of Bangkok by visiting the temples of the city. The temples in the city help the tourists to understand the religion, culture, traditions, beliefs, customs as well as architecture of the city. You can witness many temples right through the city including Wat Phra Kaew (Temple of Emerald Buddha), Wat Pho (Temple of the Reclining Buddha), Wat Arun (the most iconic temple of Bangkok), Wat Saket, Wat Traimit, Loha Prasat, Wat Mahatat, Wat Suthat, Wat Benjamabhopit (Wat Benja), Wat Prayoon, etc. 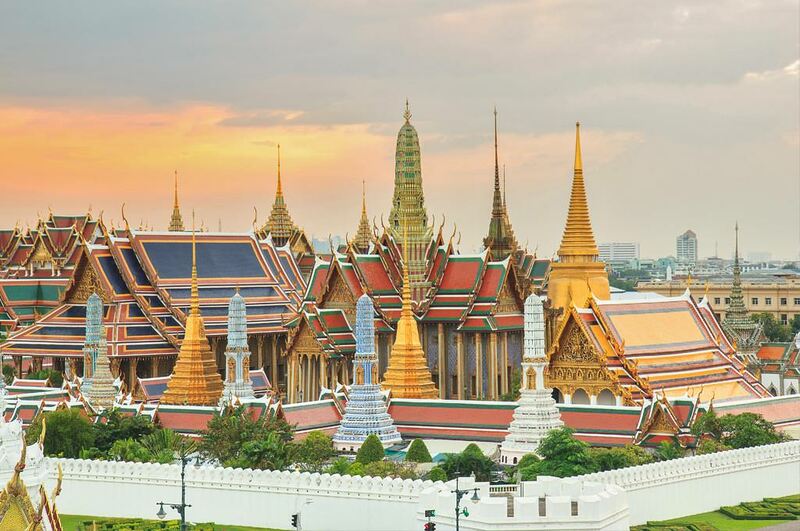 One of the most effective ways to explore or experience the beauty of Bangkok is visiting The Grand Palace. The visitors are always enthralled by the opulence of the architecture and the exquisiteness of these sites. Grand Palace is certainly the city’s most famous landmark. It was built in 1782 and it reveals the creativity and craftsmanship of Thai people. At present, the complex is the spiritual heart of the Thai Kingdom. Another great means for the visitors to explore and experience Bangkok is walking through Khao San Road. Khao San Road is a short and just 410 meter long. It is Bangkok’s backpacker hub and you should visit the site in order to experience the actual local life of Bangkok. Khao San Road is packed out, noisy and filled with a lot of fun. At Khao San Road, every tourist can find numerous budget guesthouses, mid-range hotels, internet cafes, travel agents, bookshops, market stalls, swanky bars and clubs, restaurants, massage parlors, tattoo shops, etc. The region is globally famous as a hub of dancing, partying, the traditional Thai New Year (Songkran festival) of 13–15 April and water splashing. Bangkok’s Chinatown presents a spectacular experience to the travelers. Chinatown is in one of the oldest spots of Bangkok. Yaowarat Road in Samphanthawong district is the center of Bangkok’s Chinatown. Chinatown’s Sam Pheng Market is an old business hub. Current Chinatown now includes a huge area around Yaowarat and Charoen Krung Road. Well-known for its markets and many gold shops, Chinatown is alive with the local population, many busy, more or less hectic market areas consisted of a chain of roads, alleys and small streets. As a result of the blend of Chinese and Thai cultures, Bangkok’s Chinatown is unique and charming. Parks, Beaches and Museums in Bankok help the tourists to experience the diversity of Bangkok. There are in fact several parks situated around the city and it provides the visitors to the Bangkok with pure air and many outdoor activities in green, landscaped places. Some of the famous parks in Bangkok include Benjakitti Park, Benjasiri Park, Chatuchak Park, Lumpini Park, Queen Sirikit Park, Rama IX Park, Romaneenart Park, Rot Fai Park, Sanam Luang Park (The Royal Field), Santichaiprakarn Park, Santiphap Park, etc. There are many beaches to choose from in Thailand, and many of them are near to Bangkok. Here are a few beaches that are closer to Bangkok, such as, Hua Hin, Koh Samet, Ko Lipe, Pattaya, Pranburi, Cha-Am, etc. You can find a number of Museums in Bangkok and it can offer you a premier and complete look into Thai culture. Here are some of the museums in Bangkok that display the most transcendent, and strangest, collections of remnants such as the Bangkok National Museum, Museum of Siam, MOCA (Museum of Contemporary Art), Bangkokian Museum, Vimanmek Mansion Museum, Jim Thompson House, Erawan Museum, Bangkok Doll Museum, Bang Khun Thien Museum, Bangkok Art and Culture Centre, Bangkok Corrections Museum, Bangkok Folk Museum, etc. The post is by Susan Taylor, a freelance writer and she retired from position as a professor in order to continue freelance writing career. She currently working for a professional thesis writing service online and it lets her to aid students around the world with solving their academic paper writing troubles.